The H264ULL-DECODER is an ultra low latency, quad channel, H.264 decoder on a single PCI/104 form factor board. The H264ULL-DECODER provides a powerful solution for decompressing up to 4 H.264/MPEG-4 AVC (Part 10) encoded streams to analog NTSC/PAL composite displays. The H264ULL-DECODER is an ideal companion to Advanced Micro Peripherals range of Ultra Low Latency H.264 encoder products. When combined with a card such as the H264-ULL- SD4 the H264-ULLDECODER can be used to create an ultra low latency video streaming solution with a glass to glass latency of less then 100mS. 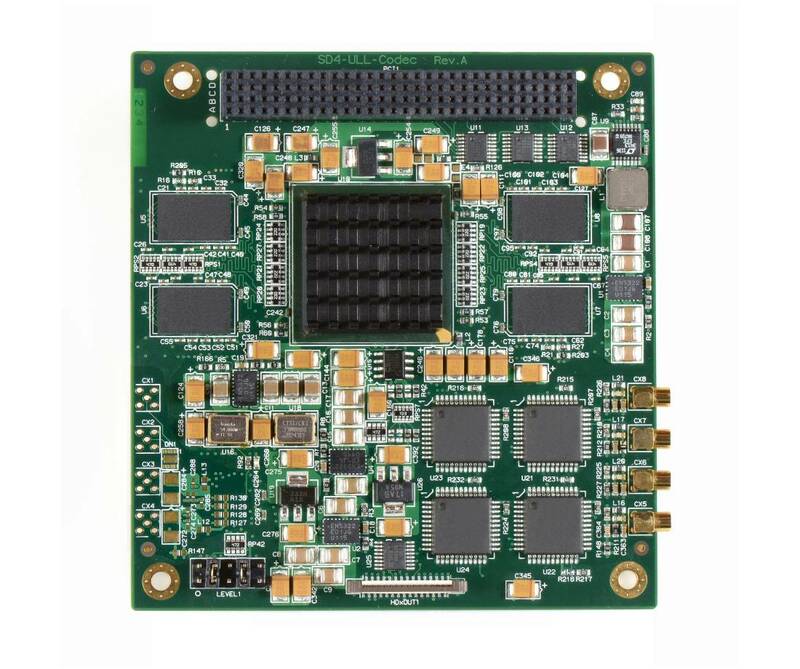 The high performance H.264 video decompression and efficient bus utilization allows the H264ULL-DECODER to do multiple channel, low latency decoding when hosted on a low power, fanless CPU board. The H264ULL-DECODER is supported by a set of well-documented and established SDKs that minimize development risk and shorten time to market for applications requiring video playback.